SCULPTRA™ is a synthetic injectable material known as poly-L-lactic acid which is biocompatible (a material that does not harm the body) and biodegradable (able to be broken down by the body). Poly-L-lactic acid has been used for many years in dissolvable stitches, soft tissue implants, and other types of implants. SCULPTRA™ is injected below the surface of the skin in the area of fat loss, providing a gradual increase in skin thickness. Results are visible within the first few treatment sessions. SCULPTRA™ will not correct the underlying cause of the facial fat loss, but will help improve the appearance by increasing skin thickness in the treated area. At your first treatment visit, it may appear that SCULTRA™ worked immediately because of swelling from the injections and the water used to dilute SCULPTRA™. In a few days, the swelling goes down and the water is absorbed by your body. 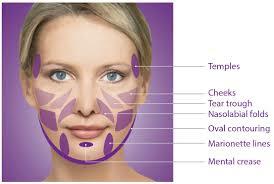 SCULPTRA™ takes time to gradually correct the depression in your skin. Your health care provider will see you again in a few weeks to decide if you need more SCULPTRA™ injections. The doctor can decide the appropriate number of treatment sessions and the amount of SCULPTRA™ you will need. This depends on the severity of the condition and the outcome desired. 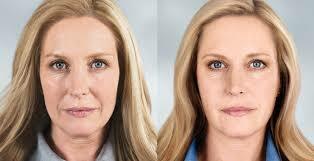 What are the possible side effects of treatment with SCULPTRA™? One possible delayed side effect with SCULPTRA™ can be small bumps under the skin in the treated area. These small bumps may not be visible, and you may notice them only when you press on the treated skin. These bumps tend to happen within the first 6 to 12 months after the first treatment. Occasionally, these bumps go away on their own. Visible bumps, sometimes with redness or color change to the treated area, have also been reported. As with all procedures that involve an injection through the skin, there is a risk of infection. Report any side effects to your health care provider. Who should not use SCULPTRA™? Be sure to provide a complete medical history for the doctor. You should not use SCULPTRA™ if you are allergic to any ingredient of SCULPTRA™. SCULPTRA™ should not be injected while you have an active skin infection or inflammation in the treatment area.